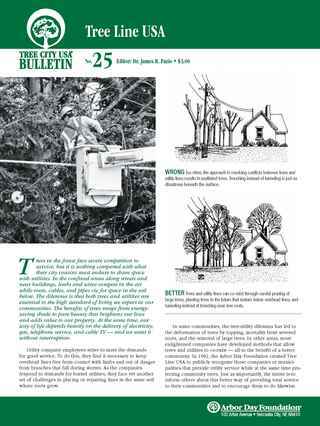 Whether it is curbside along a street or a small space by the backyard patio, there is usually a space where a tree can — and should — be planted. 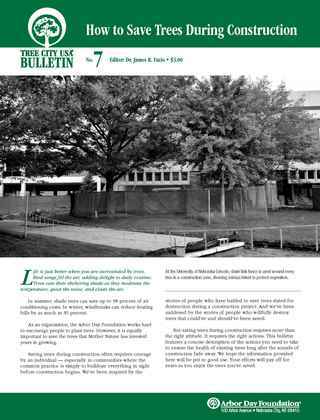 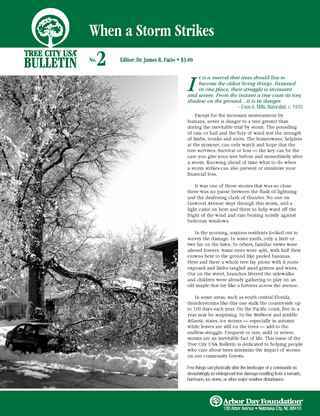 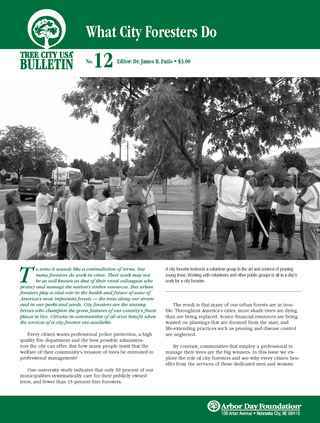 Tree City USA Bulletin © 2019 the Arbor Day Foundation. 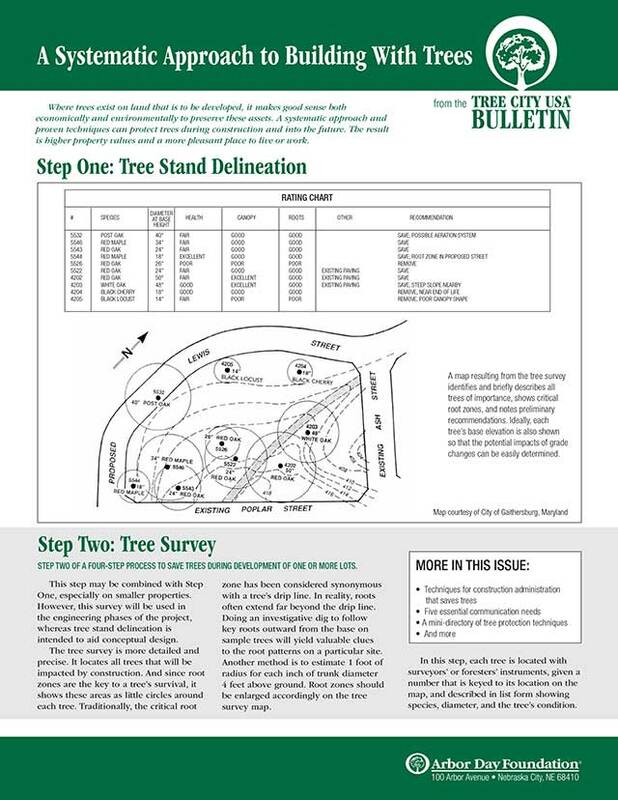 This Tree City USA bulletin is available for download. 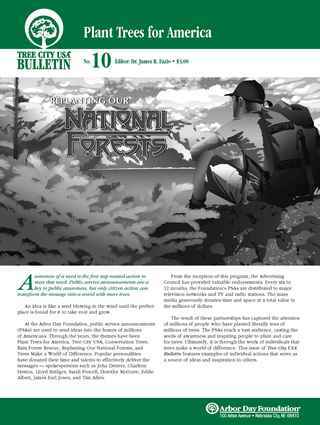 This publication should not be edited or changed in any way or reproduced without the permission of the Arbor Day Foundation. 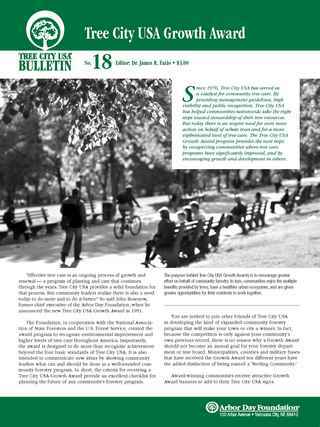 Distribution and copies of this bulletin are prohibited. 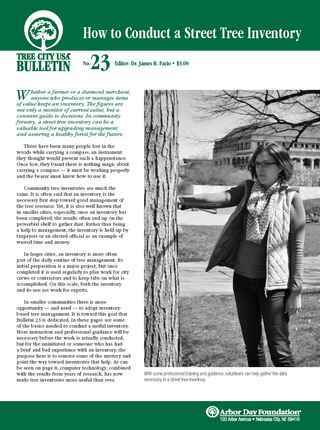 Jan-Feb 2019: What Is The Urban Forest? 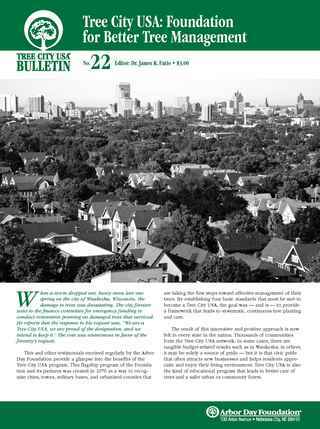 In this issue, learn what qualifies as an urban forest and the role it plays in our communities. 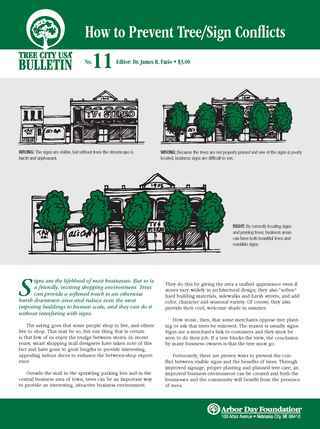 Tree City USA Bulletin © 2018 the Arbor Day Foundation.